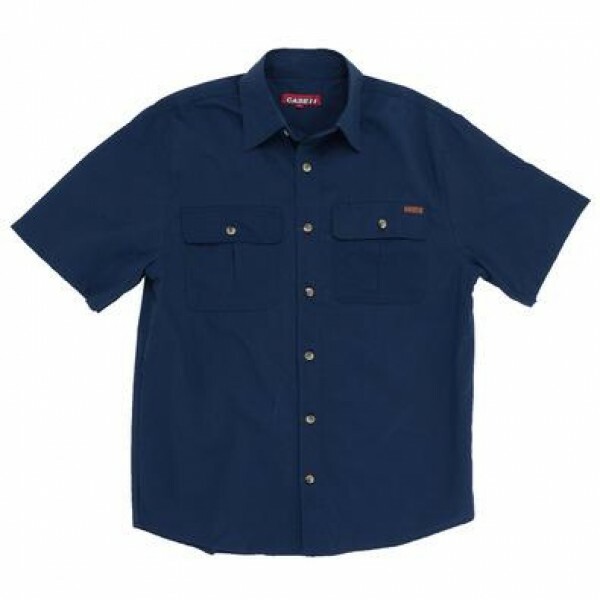 • This Case IH button front short sleeve shirt is the perfect working shirt. • The front features Case IH logo embossed buttons to button up the front and secure the two pockets. • Made of 65% cotton/35% polyester for comfort and durability.